How Does a DC Power Supply Work? 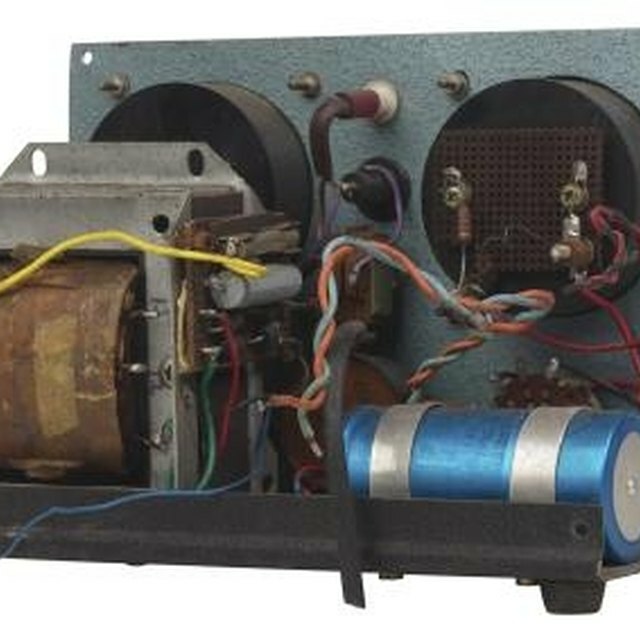 What Is an AC Motor Capacitor? Three-phase motors are motors designed to run on the three-phase alternating current (AC) power used in many industrial applications. AC electricity changes direction from negative to positive and back many times a second. The AC you get in your house, for example, goes from negative to positive and back again 60 times a second. 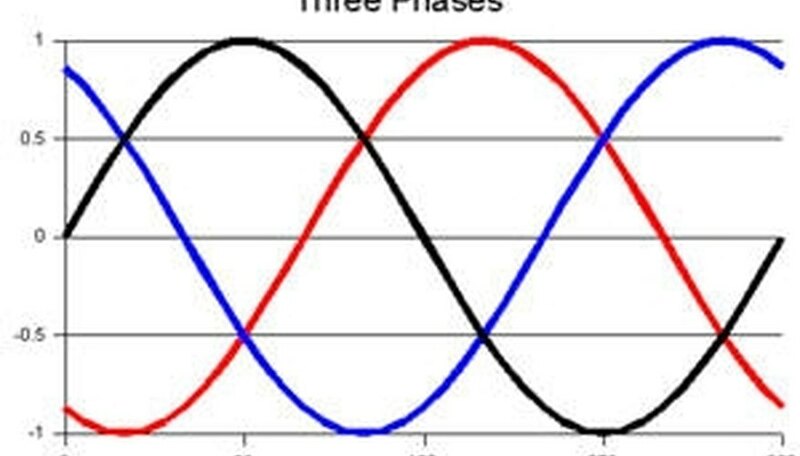 AC changes power in a smooth continuous wave called a sine wave. Three-phase AC has three sources of AC power, all out of phase with each other. That means that no two AC waves are ever at the same point at the same time. A three-phase motor has two main parts: the rotor, which turns, and the stator that turns it. The rotor is often called a squirrel cage because it consists of a circular network of bars and rings that look a bit like a cage connected to an axle. The stator consists of a ring with three pairs of coils, evenly spaced around the rotor. Each pair of coils is attached to one phase of power. Because they are all out of phase with each other, they set up a rotating magnetic field that spins around the stator at a continuous rate. The moving magnetic field creates a continuing moving current inside the rotor. This current always lags slightly behind the field in the stator. The out-of-sync currents create a slight pull in the rotor as it tries to line up with the magnetic field of the stator. Since it never quite catches up, the rotor is pulled around and around in a circle, chasing the moving magnetic field of the stator. How Does a Bridge Rectifier Work? How Does a Rectifier Work? David, Isaiah. "How a Three-Phase Motor Works." Sciencing, https://sciencing.com/threephase-motor-works-5191973.html. 24 April 2017.